Patrick Ray Russell, age 70, passed away peacefully at his home in Hagerman on December 22, 2018 after a short battle with cancer. Pat was a loving husband, brother, father and grandfather. He was born in Hagerman, Idaho on June 19, 1948 the youngest of three children. He spent his younger years getting into trouble with his friends in and around the Hagerman Valley. He graduated from Hagerman High School in 1966 and went on to attend college at Whitman in Walla Walla, Washington. He was a member of the Delta Tau Delta Fraternity and had many great memories. He graduated with a degree in sociology and moved to Boise, Idaho. In 1974 he married the love of his life Cheryl Miyake; at the time of his passing they had been married 44 years. After their marriage Pat realized his dream of owning his own race car. He purchased a Tipkey Roadster in 1979 and never looked back. He was active in the sport of car racing until his passing. If it went fast, he loved it. Pat worked for Idaho Power and retired with over 30 years of service. He also served on the Hagerman School Board from 1986 -2001. Pat is survived by: his wife, Cheryl; daughter, Michelle (Mitch) Olsen; grandsons, Walter Olsen and Tanner Olsen and sister, Constance Nysingh. He was preceded in death by his parents and brother. A graveside service will be held on December 29, 2018 at 2:00 p.m. at the Hagerman Cemetery. A celebration of life will follow at the Hagerman Legion Hall. In lieu of flowers the family asks that donations be made to the Buhl Badgers Wrestling Club in honor of his grandchildren; in care of Fred Bartlett, or mailed to Buhl Wrestling 817 11th Ave. North Buhl, Idaho 83316, or Buhl Farmers Bank Att: Buhl Wrestling. TWIN FALLS—A viewing will be held from 6:00 pm until 8:00 p.m., Wednesday, December 26, 2018 at the Church of Jesus Christ of Latter-day Saints, 425 Maurice Street N, Twin Falls. Funeral Services will be held at 11:00 a.m., Thursday, December 27, 2018 with a viewing beginning at 10:00 a.m., at the Maurice Street LDS Chapel. BUHL—Memorial service at 2 p.m. Thursday, December 27 at the First Christian Church, 1005 Popular Street in Buhl. Services under the direction of Farmer Funeral Chapel. Alaska and Jerome—A viewing will be held from 3pm until 5pm, Sunday, December 30, 2018 at Farnsworth Mortuary, Jerome. Funeral services will be held at 3 p.m., Monday, December 31, 2018 at the First Presbyterian Church, 262 E Ave A, Jerome. www.farnsworthmortuary.com. Benjaman G. Oliver, 79, of Twin Falls, died Sunday, December 23, 2018 at home. Arrangements are pending Serenity Funeral Chapel Life Celebration Center and Cremation Services of Idaho, Twin Falls. Condolences may be shared at www.serenityfuneralchapel.com. Melvin Douglas “Doug” Smith, 67, of Twin Falls passed away Sunday December 23, 2018 at St Luke’s Magic Valley Regional Medical Center. Arrangements are pending and will be announced by Rosenau Funeral Home. Arthur Eccles, 51, of Boise, passed away at his home on Monday, December 24, 2018. Services under the direction of Summers Funeral Home-Boise Chapel. Karren Dey, 79, Filer, Idaho passed away on Saturday, December 22, 2018 at a local hospital. Arrangements are under the direction of Reynolds Funeral Chapel. 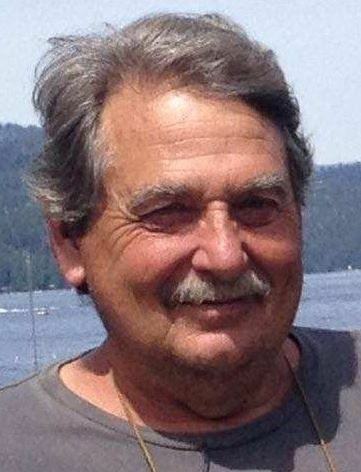 Denny M. Kay, 71, of Alaska and Jerome, passed away December 22, 2018 at a Boise hospital. Arrangements are under the direction of Farnsworth Mortuary. Guillermo Fuentes, 54, of Twin Falls passed away on Saturday, December 22, 2018 at a local hospital. Services are under the direction of Reynolds Funeral Chapel. Karen Dey, 79, of Twin Falls passed away on Saturday, December 22, 2018 at a local hospital. Arrangements are under the direction of Reynolds Funeral Chapel. Gael Animas, baby boy of Gustavo and Ernerstina Animas, of Twin Falls passed away on Thursday, December 20, 2018 in Salt Lake City, Utah. Services are under the direction of White Mortuary. Teresa Deanne Massie, 70 of Twin Falls passed away on Friday, December 21, 2018 at a local hospital. Arrangements are under the direction of White Mortuary. Betty Josephine Faught, 79, of Leesburg, Fla., formerly of Twin Falls, ID passed away on Thursday, December 20, 2018. Services are under the direction of Reynolds Funeral Chapel. Sandra L. Williams, 70, a resident of Kimberly, passed away on Saturday, December 22, 2018 at Oakcreek Care Center in Kimberly. Funeral arrangements are pending under the care and direction of Demaray Funeral Service—Gooding Chapel. Mary J Brown, 94, passed away in Boise Idaho on December 17, 2018. Arrangements are under the care of Cloverdale Funeral Home. Leslie Dean Savage passed away in Twin Falls at St. Luke’s Hospital on Dec. 21, 2018. Les was cremated and a memorial will be held at a later date. Instead of flowers please donate to your local animal shelter. Davis Rose Mortuary, American Falls. Patrick “Pat” Ray Russell, 70, a resident of Hagerman, passed away on Saturday, December 22, 2018 at his home in Hagerman. Funeral arrangements are pending under the care and direction of Demaray Funeral Service—Gooding Chapel. Condolences, memories and photos can be shared at www.demarayfuneralservice.com. Owen Jeffrey Toone, 65, a resident of Buhl and formerly of Oregon, passed away suddenly on Thursday, December 20, 2018 at the North Canyon Medical Center in Gooding. Local funeral arrangements are under the care and direction of Demaray Funeral Service—Gooding Chapel. Condolences, memories and photos can be shared at www.demarayfuneralservice.com. Darlene Rae Wayment, 79, passed away peacefully, surrounded by family at her home in Twin Falls, Idaho on December 22, 2018. She was born in Coeur d’Alene, Idaho on September 17, 1939 and graduated from Coeur d’Alene High School in 1957. Darlene married Larry Wayment November 16, 1958 and they were sealed in the Idaho Falls Temple on April 15, 1972 for time and eternity. Darlene was a member of the Church of Jesus Christ of Latter-day Saints and served in multiple church callings dedicating her time and love to the primary children, young women, Relief Society and within both the church and family history libraries. She served a church education system mission with her husband in 2007 and 2008. In addition to her tireless work as a full-time wife and mother, Darlene also worked for many years as assistant manager of Hart’s Tuxedos and became half owner of Wayment Manufacturing, Inc in 1996. Darlene’s greatest joy was raising and spending time with her large family. She was a tremendous support to her loving husband, Larry, for 60 memorable years. She enjoyed creating flower arrangements, working on genealogy, gardening, feeding everyone who came into her home, music and telling stories. Darlene was constant in her love, patience, support and selflessness until the day of her passing. She will be missed by many. Darlene is survived by her spouse, Larry Wayment; children: Michael (Carol) Wayment, Scott Wayment, Todd (Seresa) Wayment, Kelly (Diane) Wayment, Kristi Wayment (Bennett Fornal), Sean (Jennifer) Wayment and Jennifer (Ken) Gould; and siblings: Diane Aylward and Dennis (Edwina) Aylward. Darlene was a beloved grandmother of 40; great grandmother of 29; as well as aunt, in-law and friend of many. She was preceded in death by her parents, Joseph and Hazel Aylward; and her granddaughter, Cami Wayment. A viewing will be held from 6:00 p.m. until 8:00 p.m. Wednesday, December 26, 2018 at the Church of Jesus Christ of Latter-day Saints, 425 Maurice Street N, Twin Falls. Funeral services will be held at 11:00 a.m. Thursday, December 27, 2018 with a viewing beginning at 10:00 a.m. at the Maurice Street LDS Chapel. Grave dedication will conclude at Sunset Memorial Cemetery, Twin Falls. Memories and condolences may be shared with the family on Darlene’s memorial webpage at www.farmerfuneralchapel.com. Robert (Bob) Earl Surgeon, 87, of Boise died Dec. 17, 2018 at home with 3 of his kids by his side. Robert was born on June 24, 1931 in a covered wagon on the banks of the Snake River in Idaho Falls, Idaho to Forrest (Curly) Surgeon and Annis Azalee Kiser. He was raised in Idaho, Wyoming, Montana and Oregon. Bob was an airplane mechanic in the US Navy during the Korean conflict 1950—1954. Stationed on USS Boxer when ship caught fire at sea. He married Simonne Huston on Dec 25, 1952 in Kimberly, Idaho. They shared 63 years together before Simonne passed in 2015. They had 3 children, Shawn, Shauna and Shane. Bob and Simonne opened up Surgeon Electric in 1964 -1970 when he opened up Kimberly Electric from 1970-1979. After the kids graduated and were out of the house, they moved to Challis and opened up Challis Electric. 1979 to 2008 when he was forced to retire due to losing his eyesight. He enjoyed working, hunting, fishing and hanging with his friends for a beer and BS session. Preceding him in death is his wife of 63 yrs Simonne; his parents, Curly and Annis; 4 brothers, Sam, Oscar, Wes and Dean; 3 sisters, Marguerite, Karen and Eileen; 2 brothers-in-law, Howard Huston and Charlie Madesh. Surviving are his children, Shawn (Renee) Surgeon of Horseshoe Bend, Id, Shauna Surgeon of Boise, Idaho, Shane (Brenda) Surgeon of Hubbard, Ore and Shelly (Dan) Culver of Deming, Wash.; Sisters-in-law, Selma Madesh and Dee Huston; Grandkids, Somer (Zach) Donovan of Coeur’Alene, ID, Zach Vitale of Salem, Ore., Luke Surgeon, Kylee (Josh) Surgeon, and Jake Surgeon, all of Hubbard, Ore., Suzette (Uriah) Womack and Lee Daughterty, both from Horseshoe Bend, Id. Great Grandkids are Kaitlynn Vitale of Hillsboro, Ore., Jayden, Bella, Myleigh Vitale of Kuna, Id, Vylet Donovan of Coeur d’ Alene, Id, Emagyne Womack of Horseshoe Bend, Id and Hunter Hesseltine of Hubbard, Or, Donielle and Dietrich Jordan of Middleton, Id and Courtney Moore of Horseshoe Bend, Id. Many nieces and nephews. Robert was a very likable guy with a great sense of humor and a work ethic that was second to none and believed treat someone as you would want to be treated. He will be greatly missed. Miles Cunningham, 55, passed away Wednesday, December 19, 2018. He was born in Jerome, Idaho on January 22, 1963, to his very proud parents, Milton and Connie Cunningham. Miles grew up in the mountains of the Clearwater Valley and the state’s southern plains. Miles graduated from Jerome High School. After high school Miles met the love of his life Danette (Dee) Watson. They were married June 27, 1986. Miles had two sons, Andy and Kody (Chelsea). Miles was a great husband, father and brother most of all he was a great man. He was a guiding light for many. He taught his two sons how to be better people by not only his words but by his actions. He was a man that stood by his word because a hand shake should be enough to make a deal. Everyone that knew him knew he loved his country and he made sure everyone knew by flying the American flag proudly in his front yard and would always support a true patriotic cause. Miles worked many years in maintenance at Bridgeview Estates. Miles was a hard worker and leader. He always led by example in every aspect of life. Miles was preceded in death by his father, mother, and brother Zane. He is survived by his sister Valena (Percy) Paine, Wife, two sons, and numerous nieces and nephews. Miles left this world before anyone was ready. He will be missed by everyone and will leave a void to many that may never be known. The family requests all flowers and donations be brought to Farmer Funeral Chapel and the funeral home staff will deliver to the family. A memorial service will be held Thursday, December 27, 2018, 2:00PM, at the First Christian Church, 1005 Popular Street in Buhl. Memories and condolences for the family may be left on Mile’s memorial webpage at www.farmerfuneralchapel.com. Betty I. Magaw, 93, of Twin Falls passed away on Wednesday December 19, 2018 at Brookdale assisted living. Betty was born on February 12, 1925 in Ashton, Idaho to John & Rose Grady. Betty attended school in Alton, Kansas. On April 6, 1942, she married Samuel K. Magaw at Waynsille, Missouri. Betty lived in Kansas while her husband was in Europe during WWII. Upon his return, they moved to Gooding, Idaho. After a few years there, she and her family moved to Twin Falls. Sam’s job with the Idaho Army National Guard took Betty and Sam to Boise where Sam finished his career with the Military. They purchased a cabin at Terrace Lakes where they and their children’s families enjoyed many fun times together. In 1983, due to Sam’s failing health, they moved to Twin Falls to be closer to their children. Betty was a lifelong member of the Catholic Church. She spent many years as a “Pink Lady” at Magic Valley Memorial Hospital of which she had many fond memories. Betty spent 10 years or so at Brookdale where she became a second “Grandma” to many of the nurse’s aides. She will be sorely missed by her friends and “second family” at Brookdale. Betty is survived by her sons John (Deanna) Magaw and Tom Magaw of Twin Falls and her daughters Patricia Scheer of Jerome and Kathryn (Tom) Norman of Alberton, Montana. She is also survived by her grandchildren Larry, Brenda, Kevin, Sam, Alan, Amanda, Danielle, Tami, Jennifer, Jeff, Kreigh, Tamara, Jamie and 20 great grandchildren. Betty was preceded in death by her parents, her husband, and two brothers. A graveside service will be held on Friday January 4, 2018 at 2pm at Twin Falls Cemetery with Father Julio officiating. Arrangements are under the direction of Rosenau Funeral Home. Doris Bowman, an 89 year old resident of Buhl, Idaho, passed away on Wednesday, December 19, 2018 at the Bridgeview Estates in Twin Falls. Doris was born in Galena, Kansas on September 19, 1929 to Charles and Ruby Haynes. She was an only child that grew up in Kansas before moving to the Magic Valley in 1935. She attended Buhl High School, where she met Donald Bowman. They were married for 61 years and had 5 children. After Donald passed away in 2009, she remained in Buhl where all of her kids and grandkids could visit and enjoy her company. She is survived by her son, Curtis (Margo) of Albuquerque, NM, and her daughters, Linda (John) Buckmaster (Hagerman, ID) and Debra (Steve) Palmer of Sacramento, CA. She had 16 grandchildren and 15 great-grandchildren. She was preceded in death by her husband, Donald; son, David W.; daughter, Janis L.; and granddaughter, Sarah. The family wishes to thank Dr. Mason and Dr. Hyatt, Bridgeview Estates staff, and Heritage Hospice for their compassion, kindness, and care of Mom in her final months. A celebration of her life will be held Saturday, December 22, 2018, 2:00 PM at Farmer Funeral Chapel, Buhl. A graveside service will follow at West End Cemetery in Buhl. Memories and condolence for the family may be left on Doris’s memorial webpage at www.farmerfuneralchapel.com. Debbie Gonzales, 63 year old Burley resident, died Thursday, December 20, 2018 at her home in Burley. Services are pending and will be announced by Morrison Funeral Home 188 South Hwy 24 in Rupert. George Joji Kawamoto, a 93-year-old resident of Rupert died December, 20, 2018 at Countryside Care Center in Rupert. Funeral services will be announced by Rasmussen-Wilson Funeral Home of Burley. GOODING—Funeral at 12 noon on Saturday, December 22 at the Gooding Basque Center, 285 Euskadi Lane in Gooding with visitation beginning at 11 a.m.
TWIN FALLS—A memorial service will be held at 1 p.m. Saturday, December 22, 2018 at Serenity Funeral Chapel Life Celebration Center and Cremation Services of Idaho, 502 2nd avenue North, Twin Falls. Parking is available at Magic Valley High School. Condolences may be shared at www.serenityfuneralchapel.com. Andrew “Gary” Cooper, age 66, passed peacefully at his home on December 19, 2018, surrounded by family. Born March 30, 1952 to Andy and Mary Cooper of Twin Falls, Gary was the oldest of 4 children. Gary attended Twin Falls High School and Idaho State University and worked as a well-respected Dental Hygienist in Twin Falls where he resided with his wife Divina. Gary was an avid hunter and skilled taxidermist throughout his life. He was also a very talented artist. Gary had an endless sense of humor and was ever willing to help anyone in need. Gary loved to spend afternoons fishing with his wife and going on camping trips with their friends. He and his wife also loved traveling and exploring the world together. Gary was preceded in death by his father Andy. He is survived by his wife Divina, mother Mary, and siblings Jack and Diane Cooper, Bruce and Cathy Cooper, and Kay Sharp; his niece Mary Fairbanks and nephew Cody Cooper. He is also survived by children Bruce and Tina Holmes, David and Heidi Wright, Les Foele Jr., Joshua Foele and 13 grandchildren. In lieu of flowers memorial contributions may be made to D.L. Evans Bank (906 Blue Lakes. N.) ‘In Memory of Gary Cooper’ (Divina Cooper). HEYBURN—Urn placement service at 12 noon Friday, December 21 at the Paul Cemetery columbarium. TWIN FALLS—A viewing will be held from 12 to 1 p.m. followed by memorial service at 1 p.m. Friday, December 21 at Immanuel Lutheran Church of Twin Falls. WEST JORDAN, Utah—A combined viewing for Gerald and Lois will be held Friday, December 21, 2018, 6:00-8:00 p.m., at McDougal Funeral Home, 4330 South Redwood Road, Taylorsville, Utah. A combined funeral service will be held on Saturday, December 22, 2018, at the LDS Chapel located at 7000 South and 2700 West, West Jordan, Utah, with a short viewing beginning at 10:00 a.m. and the service at 12 noon. Refugio Mendoza, 82 of Jerome, died December 19, 2018 at a local care center. Arrangements are pending under the care of Farnsworth Mortuary, Jerome. Alice J Brethauer, 99, passed away December 19, 2018 at Parke View Care Center, Burley Idaho, Services are pending under the direction of Joel Heward Hansen Mortuary. Miles L. Cunningham, 55, of Buhl, died Wednesday, December 19, 2018 at his residence. Services are pending under the care of Farmer Funeral Chapel, Buhl. Evelyn June Fassler, 85, of Buhl passed away Thursday, December 20, 2018 at a local care center. Services are pending and under the care of Farmer Funeral Chapel, Buhl. Our wonderful parents, grandparents, great-grandparents, sister, brother, and friends, Lois Harper Handy and Gerald L. Handy, of West Jordan, Utah, died peacefully within days of one another on December 10th and December 13, 2018. Gerald was born May 12, 1931, in Heyburn, Idaho, to Ernest and Edith Bailey Handy as the third of four children. Lois was born December 18, 1931, in Rupert, Idaho, to Leslie and Ida Broadhead Harper as the eighth of nine children. Being nearly the same age, both were children during the Great Depression and teenagers during World War II. Both learned to work hard and have fun from their parents and families on their family farms. In his early years, Dad’s family moved to Three Creek, Idaho, where his father supervised a crew for the Civilian Conservation Corp. It was a great place for boys to have adventures and it encouraged his youthful adventurous spirit. Upon the return of the family to the farm in Heyburn, Dad rejoined his classmates in their small school. He excelled as a student, was class president and played football and basketball for his high school. Mom grew up in a very large and loving family. As one of nine children (and a twin), she was never alone. She loved being part of a big family and loved her parents dearly. Mom is finally reunited with her mother (who died one week before the twins’ twelfth birthday) after 75 years, and with her father after 43 years. She was a little shy as a child, but quickly grew out of it as a cheerleader for her high school. She was popular and never missed the dances. It was during these high school years that Gerald and Lois met and began to date seriously. They got engaged as soon as Mom graduated high school and were married on September 6, 1950 in the Idaho Falls LDS Temple. Dad attended Albion Teacher’s School and later enrolled at Brigham Young University to complete his Bachelor’s degree and obtain a teaching certificate. Later, he earned a Master’s Degree in counseling and a PhD in education from the University of Utah. Dad’s career spanned thirty-three years as teacher, counselor, assistant principal, and principal in the Granite School District. During his distinguished career, he took sabbaticals to serve terms as GEA and UEA president. For several years following his retirement, he continued work as a counselor to night school students who were pursuing their GED’s. While Dad pursued his education and a career as an educator, Mom stayed home to take care of a growing family. She often said that being a mother was her greatest ambition and she poured her whole self into caring for and teaching her children. Never a day passed without her telling us that she loved us. Even though Dad was often working two jobs or very long hours at one job, he always found time for his family. Mom and Dad made time to go camping and take family trips with their children, and supported them in their many activities. They were both great examples of love, hard work, integrity and faith. As their children married and began families of their own, Mom and Dad found even more love in their hearts for their 21 grandchildren and 28 great-grandchildren (and counting). Mom and Dad were a great team, devoted to one another, and made many lifelong friends over their 68 years together. They both were faithful members of The Church of Jesus Christ of Latter-day Saints and served in numerous callings over the years, most recently serving together for several years in the Jordan River Temple. Mom took wonderful care of Dad until the day she died. Dad, though suffering from a variety of ills, became sweeter and more patient even as his conditions worsened. Mom and Dad are survived by their children: Arliss (John) Winder, Daren, Jerry (Carla), Rhonda (John) Osterberg, and Brett (DeNae). Mom is also survived by her twin sister Lila; and brother Larry; and is preceded in death by her parents; brothers Blaine, Darrell, Wendell and Clyde; and sisters Melba Weedop and Shirley Jackson. Dad is also survived by his brother Duane; and is preceded in death by his parents; brother LaDell; and sister Arlene Badger. They were also preceded in death by their daughter-in-law Darlene. A combined viewing for Gerald and Lois will be held Friday, December 21, 2018, 6:00-8:00 p.m. at McDougal Funeral Home, 4330 South Redwood Road, Taylorsville, Utah. A combined funeral service will be held on Saturday, December 22, 2018, at the LDS Chapel located at 7000 South and 2700 West, West Jordan, Utah, with a short viewing beginning at 10:00 a.m. and the service at 12 noon. Immediately following the funeral service, a short graveside dedication will be held at Valley View Memorial park, 4400 West 4100 South, West Valley City, Utah. Leoncio “Leo” Basterrechea, 70, of Gooding, passed away on Thursday, December 13, 2018, in Gooding, Idaho. Leo was born on April 24, 1948 in Nabarniz, Spain to Marcelino and Rosario Apoita Basterrechea, the youngest of seven. At the age of 18, Leo moved to the United States in January 1967 under an employment contract. He spent the rest of his life working in and around the Gooding area. On December 4, 1971 he married Caroleann Moline. Together they raised two sons, Randy and Nikolas. Leo spent the next 51 years in Idaho working for several local farming, ranching, and dairy families. He later worked on the Moline Ranch, and was employed at the Fairfield Sawmill and Blincoe’s meat packing plant in Gooding. When the packing plant closed, he started his own landscaping and sprinkler business, L&L Sprinklers, with his good friend Leo Guarrochena. This venture evolved over the years as the business became successful and eventually led to the opportunity to count Bruce Willis, who tasked Leo and crew with landscaping his new home in Hailey, as a satisfied customer and friend. In addition to the sprinkler business, which was a constant throughout most of his life, Leo and Caroleann were also proud to open the Toki Ona, a Basque restaurant, with good friends Luis and Debbie Zatica in the 1980’s. Leo managed the Lincoln Inn bar for a time in the early 1990’s. Later he ran the Lincoln Inn restaurant as a nod to the original Toki Ona, once again with Luis Zatica, and this time with close friends Joe and Lizette James. In 2008 Leo began working for the Big Wood Canal Company where he remained for ten years. A notable highlight for Leo was working for John K. Colgate Jr., whose ranch he looked after north of Gooding. Leo often referenced his time at Colgate’s as one of the happiest and proudest milestones of his working life. Leo was a charter member of the Gooding Basque Association and enjoyed the many hours he spent volunteering for the organization over the years. He loved playing the Basque card game Mus with his friends and this hobby even took him to the national and international championships at one point. It would be an understatement to simply say that Leo was quite social. He loved spending his time in the company of others, and even those who knew him briefly somehow managed to know him well and became life-long friends. Whether one worked alongside Leo for a short time, or knew him for many years, his boisterous spirit and jovial nature could make anyone feel at ease. Leo loved laughing, joking, and giving a hard time to those he cared about. He was quick to buy someone a drink and make them laugh. Leo will be fondly remembered as an integreal member of the community he came to call home. A place he initially knew nothing about all those years ago in January 1967. Leo is preceded in death by his parents, and earlier this year by Jose M. Yrueta, a close friend whom he considered family. Leo is survived by his wife of 47 years, Caroleann Basterrechea, of Gooding, Idaho; sons Randy (Sherri) Basterrechea, of Meridian, Idaho and Nikolas Basterrechea, of Boise, Idaho; and grandchildren Samantha Jackson, Trey Jackson, Nikolas and Zakary Basterrechea. He is also survived by his siblings and multiple nieces and nephews in Spain. A funeral service will be held at 12 noon on Saturday, December 22, 2018 at the Gooding Basque Center, 285 Euskadi Lane in Gooding, with visitation beginning at 11 a.m. A reception will follow. The family would like to thank Dr. Mark Spencer and staff, as well as the caring team at North Canyon Medical Center in Gooding, who took exceptional care of Leo in his last weeks. The family would also like to extend a very special thank you to Gary, Lori and the staff at Bowman Funeral Parlor of Garden City for their special care during this time. Memorial contributions in Leo’s name may be made to North Canyon Medical Center in Gooding, Primary Children’s Hospital in Salt Lake City, Utah or The Autism Society Treasure Valley in Boise, all of which hold a special place in the Basterrechea family’s hearts. Please visit Leo’s memorial webpage online at www.bowmanfuneral.com. Timothy William Heck, 58, of Kimberly passed away peacefully Tuesday, December 8, 2018. A service will take place at a later date. Yesenia Zamora, 46, a resident of Twin Falls and formerly of Gooding, died Sunday, December 16, 2018 from injuries in in auto accident south of Rogerson. Funeral arrangements are pending under the care and direction of Demaray Funeral Service—Gooding Chapel. Condolences, memories and photos can be shared with the family by following the obituary link at www.demarayfuneralservice.com. Frances Eileen Clifton, 79, of Twin Falls, Idaho passed away on December 15, 2018 at a local care facility. Arrangements are under the direction of Reynolds Funeral Chapel. Twin Falls. Doris Colleen Haynes Bowman, 89, of Buhl passed away Wednesday, December 19, 2018 at Bridgeview Estates in Twin Falls. Services are pending and will be announced by Farmer Funeral Chapel, Buhl. SHOSHONE—A graveside service will be at 2 p.m. Thursday, December 20 at Shoshone Cemetery, Shoshone. TWIN FALLS—A celebration of life will be at 11 a.m. Thursday, December 20 at the Jerome United Methodist Church, 211 S Buchanan St.
FAIRFIELD—Funeral service will be at 11 a.m. Thursday, December 20 at the Church of Jesus Christ of Latter-day Saints, 400 W Alturas Ave, Fairfield. SHOSHONE—A memorial service at 11 a.m. Thursday, December 20 at the LDS Church in Shoshone.